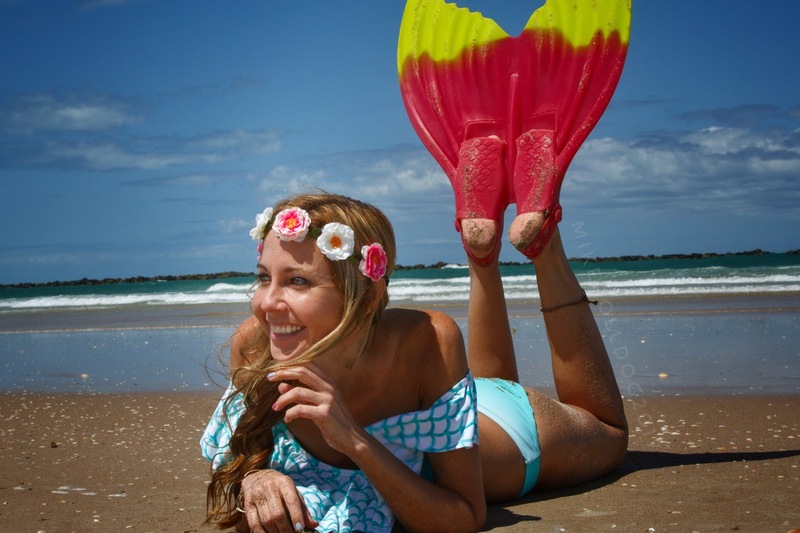 *You have mermaid bikinis, like the Ruffled "Mermaid Scale" Raisins bikini seen in this photo. *You have a mermaid monofin. *You have a mermaid towel, mermaid accessories and a mermaid tail blanket. *You play in the waves and swim with the sharks. *You ride out the storms. *You aren't afraid to dive in. *You drink like a fish. *You have a fear of shallow living. *You live so deep that life takes your breath away. *You always "Seas" the day!